We have put together an amazing set of information on Virgin Media Complaints History. When it comes to how well the people in a country are connected to each other and to the world, there are very few nations that can compete with the comprehensiveness of the United Kingdom. UK boasts of staggering numbers, regardless of which channel or form of media you consider, as per information released by the industry watchdog, Ofcom. As per Ofcom, about 77 per cent of adults in the country have access to broadband, 95 per cent homes have digital TV, and 84 per cent boast of landline connections. Virgin Media, unsurprisingly, holds a large share of these markets and is constantly trying to keep Virgin Media complaints history as favourable as possible. 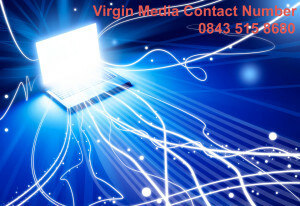 Virgin Media is the first quadruple play company in the United Kingdom which means that it operates in all communication segments including landline, broadband, Pay TV, and Mobile (under the Virgin Mobile brand and department). One of the younger companies in the UK since it traces its roots to 2006; Virgin Media has gradually grown its presence in the region. This is evident by the market share it has in all the segments it operates in. For instance, within the landline segment, Virgin Media’s share is 12.6 per cent i.e. the second position after BT which has 37.6 per cent share. Similarly, in the broadband sector, its share is 20 per cent behind BT’s 31 per cent. Barring minor fluctuations, Virgin Media’s share in these segments has remained more or less constant. Why Should You Look Into Virgin Media Complaints History? Every time you prepare to avail some service, you tend to begin comparing all the options available to you. Usually, you’ll compare everything from reputation (asking your friends, colleagues, and family member), features and variety of service (considering various packages), and even cost (monthly fees, one time installation fees, discounts, etc.). The first of these i.e. reputation is based on the opinion on a few people while the other two are very much fact based. What if you could convert the opinion based analysis of reputation of a company into fact based? This is precisely what you can do by analysing the Virgin Media complaints history. Effectively, the Virgin Media complaints history is a way to assess the integrity and quality of the company’s services. How Does Virgin Media Fare In the Landline Market? The landline market of the United Kingdom is dominated by four companies, namely BT, Sky, Talk Talk, and Virgin Media. Of these, as per Virgin Media complaints history, Virgin Media is the least complained about company in the whole country. Moreover, the number of complaints against the company is also lower than the industry average. Complaints against Virgin Media during Q3, 2013 were 0.08 complaints per 1, 000 customers while the industry average in the same period was 0.19 complaints per 1, 000 customers. An even more significant aspect revealed by Virgin Media complaints history is that the number of complaints against Virgin Media has gone down consistently since Q3, 2011 when it was about 0.19 complaints per 1, 000 customers. 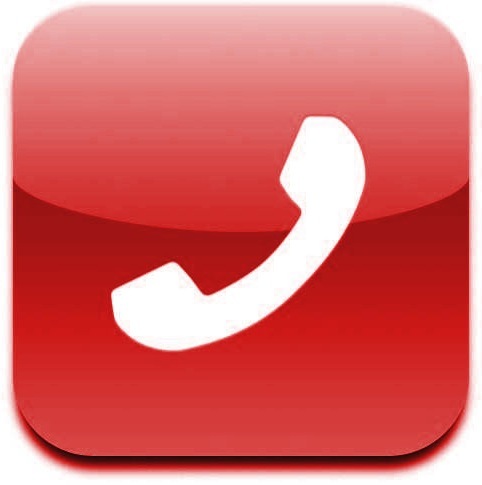 If you have a complaint about Virgin Media’s landline service then you can call them at 0843 515 8680. What Is Virgin Media’s Performance in the Broadband Segment? Virgin Media’s performance in the broadband segment, according to Virgin Media complaints history, is the same as its performance in the landline market. The company remains the least complained in the segment with others like Sky, BT, EE, and Talk Tal having more complaints registered against them. Complaints against Virgin Media in Q3, 2013 were to the tune of 0.08 per 1, 000 customers while the industry average was a whopping 0.22 per 1, 000. Furthermore, the number of complaints against Virgin Media again went down consistently from 0.19 per 1, 000 during Q3, 2011. The most complained about company in this period was EE with 0.45 per 1, 000 and the company with the performance closest to Virgin Media’s was Sky with 0.09 per 1, 000 customers. All broadband complaints against Virgin Media can be made at 0843 515 8680. It’s in the Pay TV niche that Virgin Media suffers however. In the UK Pay TV industry, Virgin Media is joined by Sky and BT as the major players. In terms of complaints per 1, 000 Virgin Media is sandwiched between its two competitors. While complaints against BT in this sector in Q3, 2013 soar at 0.56, Virgin Media is still beaten by Sky with its number at 0.02 per 1, 000. Virgin Media Complaints history shows the company’s number at 0.05 per 1, 000. Even if you compare Virgin Media’s performance with the industry average, the company barely remains below it as the average stood at 0.06 per 1, 000. The improvement between the periods of Q3, 2011 and Q3, 2013 was also slight because in Q3, 2011 the number of complaints against Virgin Media stood at 0.08 per 1, 000 customers. Call 0843 515 8680 if you have Virgin Media complaints about their Pay TV service. It’s worth noting that only those complaints reach Ofcom that have gone through the Virgin Media already. There are three deductions that can be made on the basis of this fact. The first is that each of these complaints has already gone through the whole process i.e. being presented on the Virgin Media complaints department phone number and submitted through the Virgin Media complaints email. The second is that the Virgin Media complaints team has already had a go at trying to resolve the problem for its customers and has been unable to. Finally, the third is that Virgin Media has a high success rate in resolving its customers’ complaints because the number of complaints reaching the company can be much higher than what the Virgin Media complaints history from Ofcom shows. Even so, if your problem is particularly complicated then you’ll have to take steps to ensure that you get a proper response for your Virgin Media complaints. The trick is to blend politeness with sternness as the former will ensure amiability and the latter will ensure quality of service. However, if you don’t get the right response then you can approach Ofcom with your complaints as well.